Our Brussels Sprouts in Tin Foil, is easy and delicious side dish that goes with any main dish you are cooking. You can cook this in the oven or on the grill. Preheat oven 400 degrees. Cut 1 (24 inch) tin foil and place on sheet pan and spray tin foil with cooking spray. In a bowl, add brussels sprouts, olive oil, salt, pepper, garlic powder and onion powder, toss to coat. 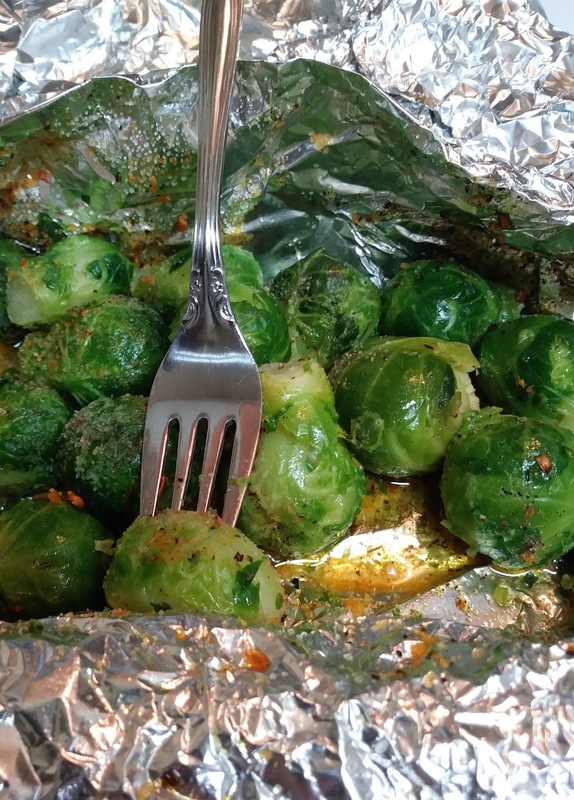 Place brussels sprouts on tin foil, top brussel sprouts with butter. Wrap foil and seal edges tightly. Bake about, 40 minutes, until fork tender. Such a simple recipe. Love that you did it in foil and these sprouts just steamed beautifully! Simple and delicious. Thanks Ally! Ah so you already know these are my favorite and guess what? I bought a bag and trying as I type thank you! love this recipe! Thanks for telling me, Claudia. I'm glad you enjoyed this recipe. There's nothing better that a fresh, easy side like this to make a meal - or be a guilt-free meal in itself! In the grill!! Great idea! So good on the grill.